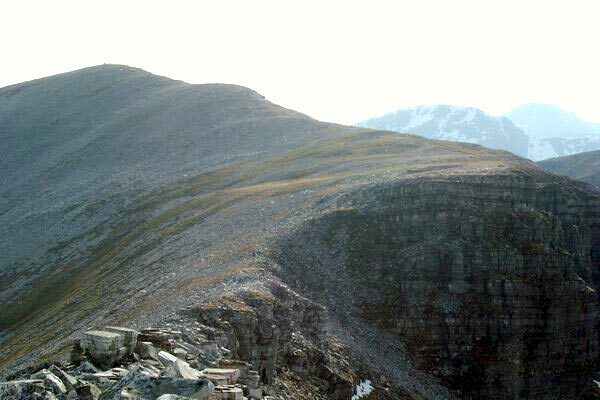 Stob Coire an Laoigh is located in the middle of the Grey Corries Ridge. 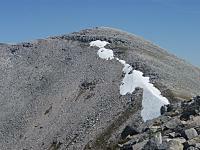 It has a triangular summit and slopes of boulder and scree, with some crags. 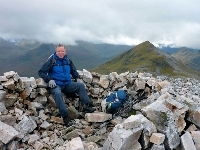 There are three ridges, the NE ridge connects to Caisteal (1106m) and the NW to Stob Coire Easain (1080), from where easy slopes lead over Beinn na Socaich down to Coire Choimlidh and the third ridge SE leads to Glen Nevis which offers an alternative ascent route. Stob Coire an Laoigh. 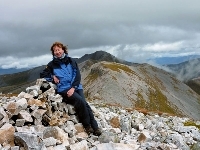 Looking west over the northern cliffs of Stob Coire an Laoigh. 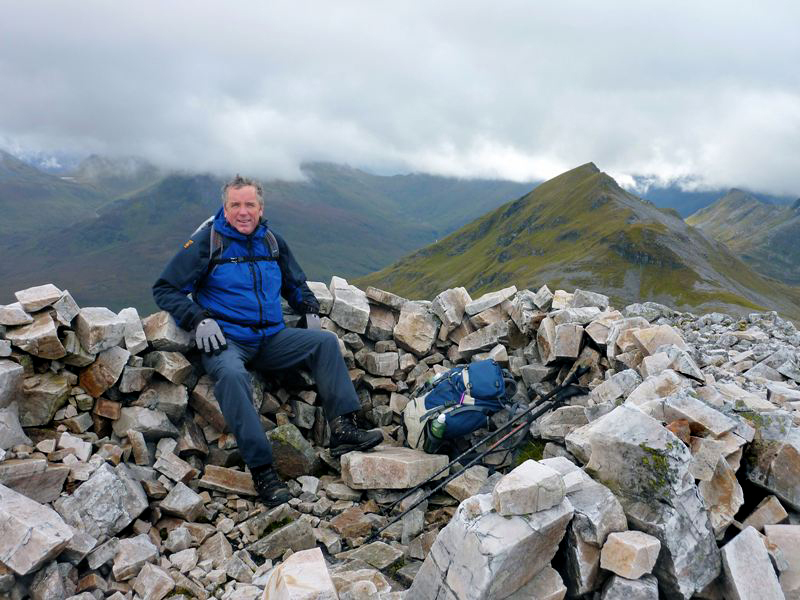 The lowering sun outlines Aonach Beag and Ben Nevis beyond. 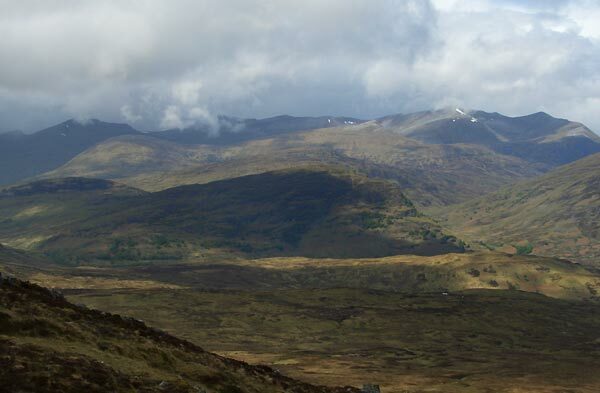 The grey corrie ridge viewed from the S on Tom an Eoin of Beinn a' Bhric during the ascent of the Leum Uilleim. 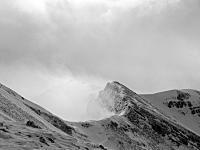 Spindrift coming off the ridge just below Stob Coire an Laoigh. 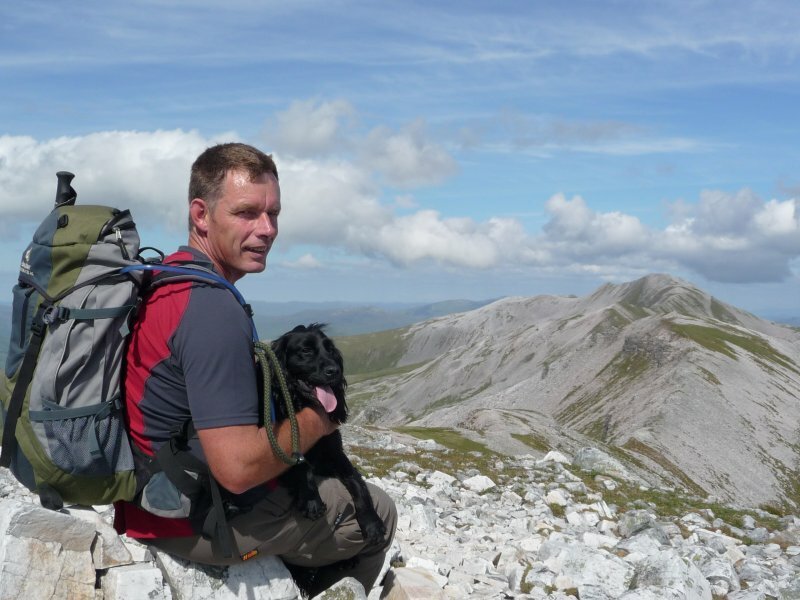 The summary information of one or more ascent routes that include Stob Coire an Laoigh. 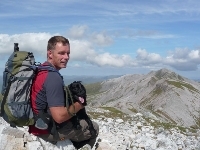 Me and a knackered Fernie on the summit of Stob Coire an Laoigh with Stob Choire Claurigh in the background 23rd July 2010. 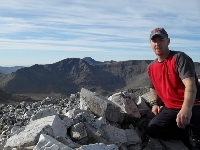 On summit with Aonach Mor ,Aonach Beag and Ben Nevis in background,17/10/09. Post a few words about Stob Coire an Laoigh or read what others have had to say.